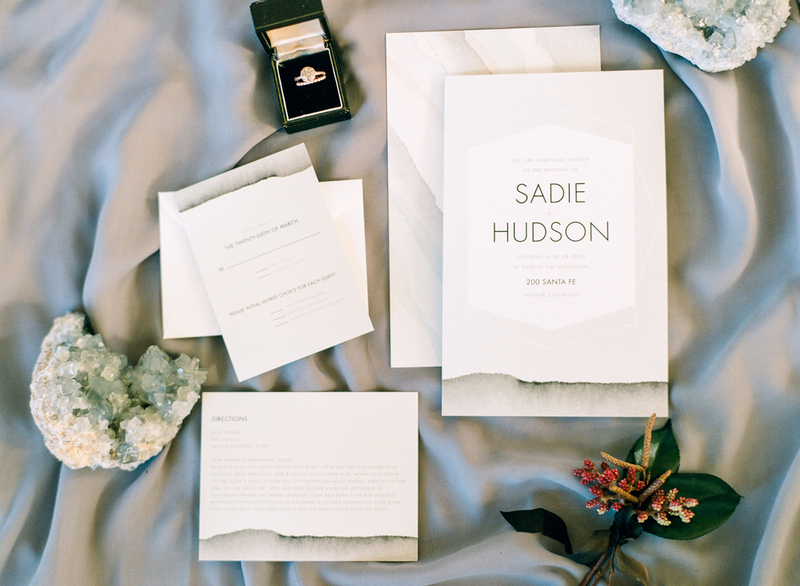 We are absolutely obsessed with these inspiring impressions from incredibly talented photographer Connie Whitlock, featured on Ruffled! 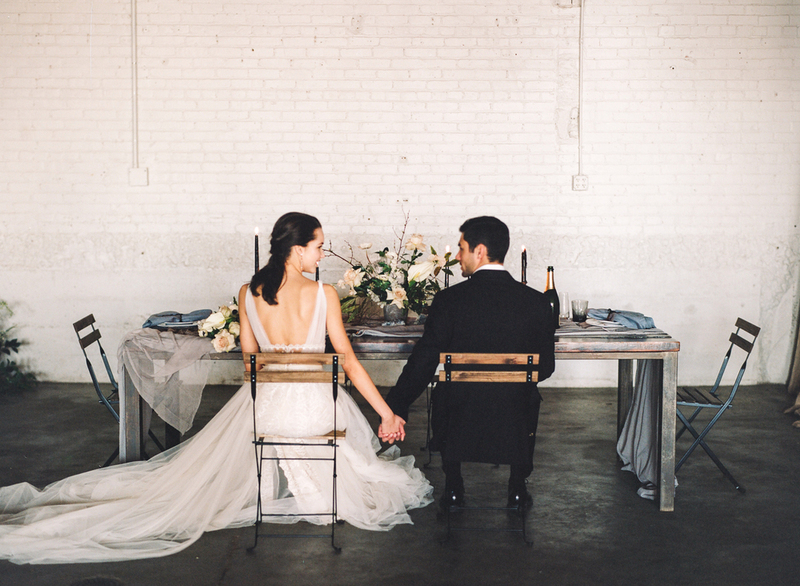 This styled shoot took place at the industrial and modern venue Moss in Denver. 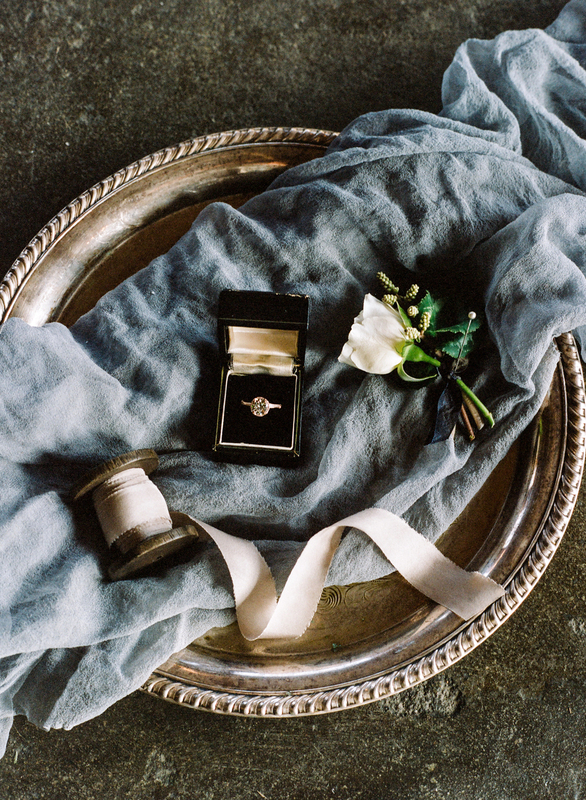 In contrast to the clean, elegant lines of this urban venue, organic textures like rustic wood, silks, and linens, as well as a simple color palette were used for the decor to finish the look. Overall this was the perfect setting to show off the dramatic yet romantic gown "Flavia" from Galia Lahav. We just can't get enough of the bodice of this dress which is nothing but an incredible piece of artwork. And what girl has not been dreaming of this long ethereal train? We are so thrilled that we got to be part of such a great project and thank all vendors for making this possible!